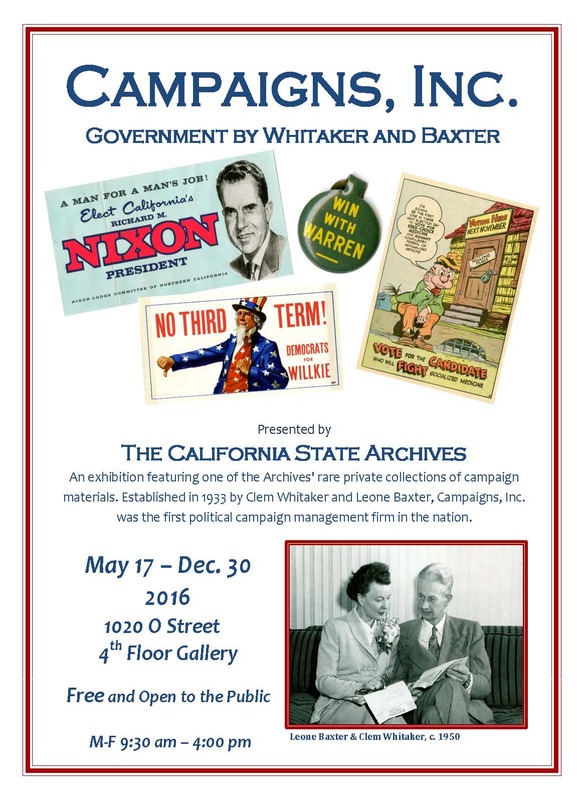 Through Dec. 30, view a private collection of campaign items from the first campaign management firm in the nation, Whitaker and Baxter. Free admission to the California State Capitol Museum, 8 a.m. to 5 p.m. weekdays, 9 a.m. to 5 p.m. weekends. Select fire stations in Sacramento host open houses through the summer. All the tours run from 2 to 4 p.m.
July 9 - Station 12, 4500 24th St.
July 16 - Station 10, 5642 66th St.
Tahoe Select exhibits at the Baldwin Museum at the Tallac Site, every day through Sept. 18. The site aims to preserve the cultural heritage and natural history of the Tahoe region. Through Sept. 5, select museums will offer free admission to active duty military personnel and their families every day during normal business hours. Summer lunches for kids and teens, adult coloring and knitting sessions, teen video game evenings and more, at locations throughout Sacramento. Registration is required for most events. June 28 - Book a Genealogist. Held every Tuesday and Thursday. Appointments can be made on the hour between 1 and 4 p.m. Central Library, 828 I St.
June 29 - Pixar in a Box. Explore how to transform clay modeling into digital characters. 2 to 3 p.m. Fair Oaks Library, 11601 Fair Oaks Blvd. July 1 - Full Circle Book Club. July is J.R.R. Tolkien themed. 2 to 4 p.m. Ella K. McClatchy Library, 2112 22nd St.